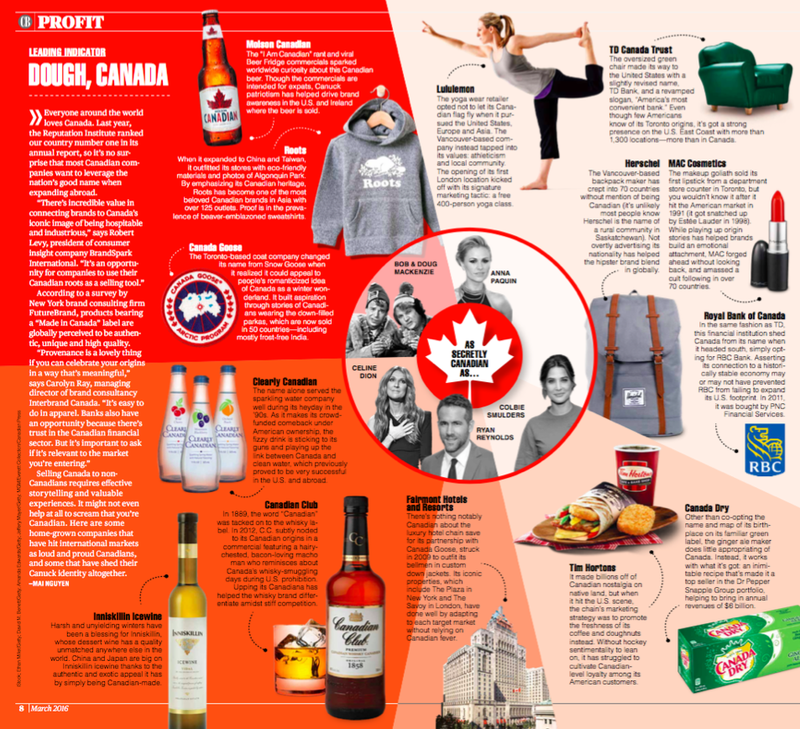 My goal with this story for Canadian Business was to shove as many Canadian stereotypes as I possibly could into a double-page spread. Thankfully, that was the point. It struck me as no surprise that Canadian companies would want to leverage their roots when peddling their wares abroad. I mean, if we're going off of year-after-year reputation indexes, the world basically loves us. I love us, too. Even if it's all just marketing magic like this old Tim Hortons ad that might as well be a recruitment ad for the Canadian Armed Forces.